Catch up with us at WHD.global! Our team has been busy preparing for WorldHostingDays 2012 (March 20th – 23rd) and we’re really excited to catch up with all our European Resellers once again! WorldHostingDays is one of the largest Hosting events in the Industry today and offers unparalleled networking opportunities. You can also witness some enlightening sessions on the Hosting and Web Presence Industry. If you’re attending, be sure to catch Birger Steen (CEO, Parallels) at his session on “Cloud Services: Capitalizing on the changing SMB IT landscape” and John Igoe (Dell) speaking about the financial potential of Cloud Services. There’s also the chance to network with some of the greats in the Industry at the hosting.FAIR (where we will be! ), the OnApp ConneXion Party and the Interxion BierFest, among others. We would love to catch up with you and talk about all our new & upcoming Hosting Products. 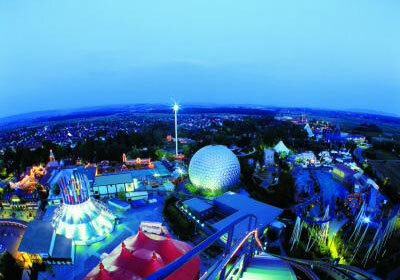 WorldHostingDays will held at the Europa Park in Germany from the 20th -23rd of March and registrations are now open. You can register for a Free Standard Ticket by using our Coupon Code – MX14QZ63 or by registering via this link. Online Registrations with Free codes is available only till the 2nd of March so make sure you Register today! Last stop – Ctrl+F5 Ahmedabad!